This is the second i have purchased, very pleased with the fit and quality. Looks even better with the studs and matching cuff links. In the past year I have bought several shirts from you and ,up til now, have been very satisfied. However this last purchase, the dress shirt, is well below standard . It looked very creased when it arrived so I washed it at 40 degrees followed by a low temperature tumble dry . Unlike all the previous shirts it comes out with the body of the shirt wrinkled, only the bib area smooth. I like your shirts because they are usually genuinely non-iron. However, this last purchase is not up to standard. Response from Charles Tyrwhitt: Apologies for any misunderstanding here, but this shirt is not - unlike your previous purchases - part of our non-iron range. All shirts which are non-iron have this in their name (for example, the Slim fit non-iron step weave green shirt from your previous order in November). As a result, it is not recommended to tumble dry the shirt, but rather the iron it after washing and while the cotton is still slightly damp for the best results. I hope this helps, but you are always welcome to return the shirt to us if it won't be to your satisfaction. 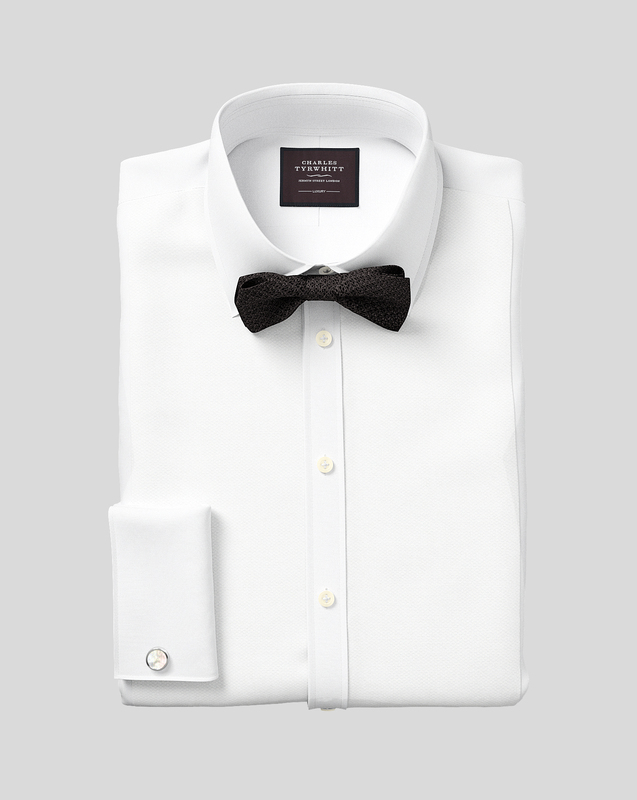 Response from Charles Tyrwhitt: Thank you for making this purchase and leaving feedback. I'm the sleeve length you require is not available. The only longer sleeve length we offer is a 38 inch sleeve and we are sold out in your size. We do offer many shirts in the size you require but we are sold out of most in our luxury shirts. Marcella is not a great weave and the overall fit is mediocre at best. Response from Charles Tyrwhitt: I'm sorry we have disappointed you with the cut and weave of the shirts you have ordered. I can see you have taken the opportunity to send them back for a refund and I hope you're much happier with your new order.